A long-lasting selection of fresh colours that's ready for its close-up! 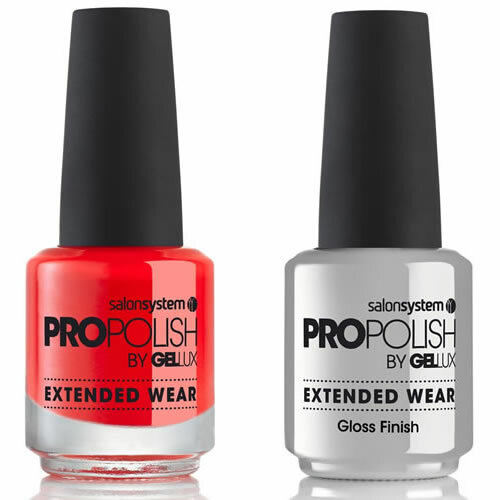 Salon System Gellux ProPolish Picture Perfect Collection features 8 eye-catching shades to spice up any occasion. Each one is a long-lasting, high-shine polish that offers extreme durability and longevity. Now supplied with a FREE Gloss Finish top coat (worth £4.95) while stocks last! 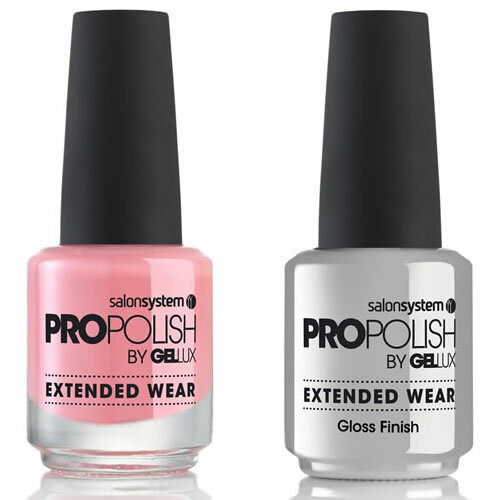 This hip and snappy selection matches the shades in the Gellux Gel Polish Picture Perfect Collection and will give your clients' nails to be proud of! These polishes don't require UV or LED to cure them or soaking when it's time to remove them. Your clients will love the looks and enjoy the durability! 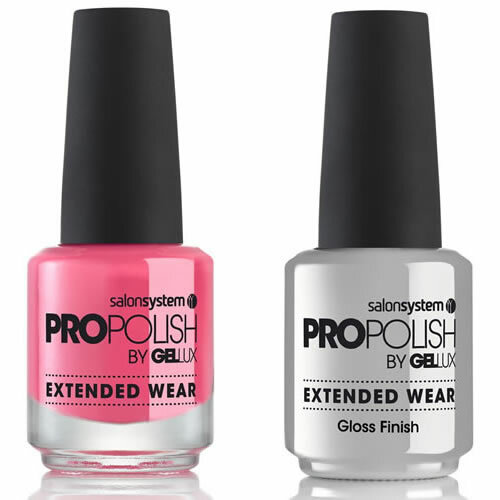 Salon System ProPolish comes in 15-ml bottles.